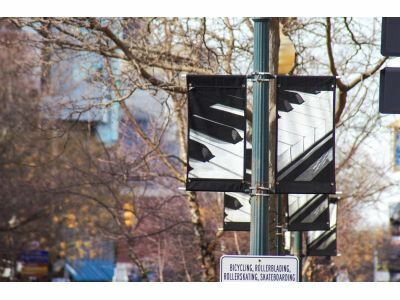 When it comes to displaying advertisements for events, showing off a specific location, or presenting simple seasonal art, you want the right street pole banner hardware to do the job. 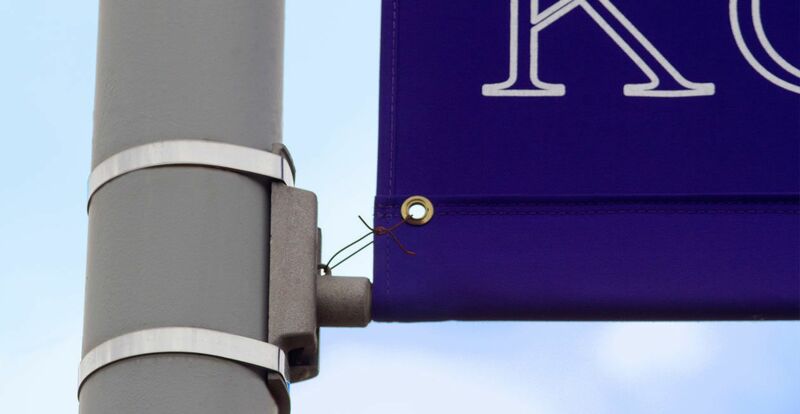 If you happen to be in an area that experiences heavy winds frequently and are concerned about street pole banners not holding up to the gusts, the BannerFlex Airow Premium Rod will put your mind at ease. Being specifically designed for light pole banners in high-wind areas, the Airow Rod offers more than twice the flexibility of the standard full-round arm. This is due to its thick-to-thin design, giving the base of the rod the strength it needs to hold strong in heavy winds. It can dissipate wind energy and increase flexibility from normal rods by up to fifty percent. The Airow Rod is not only sturdy, but it’s also meant to last. With strong corrosion resistant aluminum, your rod will stand strong even after being exposed to the elements of the outdoors for many years. The Airow Rod also contains no moving parts, so you don’t have to worry about it ever getting worn out. And, if anything does happen to your rod for any reason, BannerFlex offers a 10-year warranty on all Airow Rods. Our D3 banner bracket with the Airow Rod comes in a variety options so you can get the best size for your banner and the right finish to compliment the pole it’s going on. The bracket arm lengths available for this option are 25” or 31” with the choice of regular aluminum or black casting. Our banner bracket and Airow Rods will stand up to heavy winds you need them to, all while fitting your length and color requirements. KBW BannerFlex offers all the light pole banner solutions you need. Whether it’s additional hardware or the strong BannerFlex poles, you won’t be disappointed by the quality of our products.